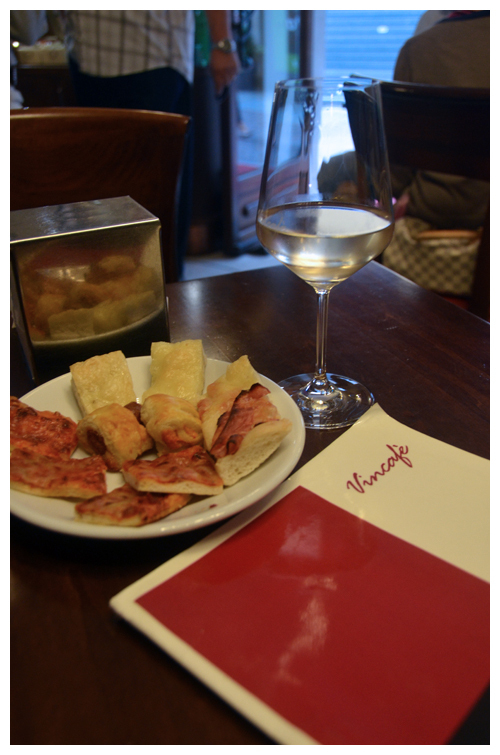 Vincafé is one of the winebars that our host Mario has recommended and as we're walking past it on the way back from seeing the Bersaglieri, it seems a good opportunity to pause and enjoy a wine or two. There's a constantly changing selection of 50 to 100 wines by the glass - the menu of which is written on a chalkboard on the rear wall. What makes you do a double take are the prices that range from €2 to €6 (that's for a Barolo!) a glass - when was the last time a glass of wine was that cheap (and actually drinkable) in Australia? 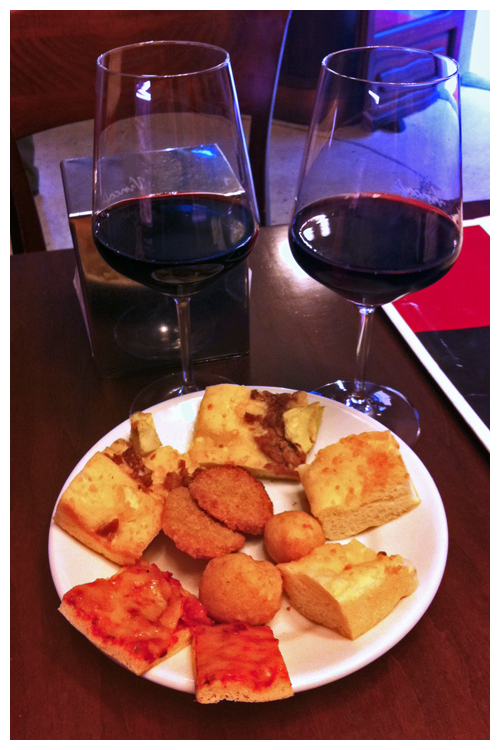 From 6pm to 9pm, things get serious - the bar is covered with platters of delicious aperitivi and if you pay €1 extra for your glass of wine, the food is free and it's self-serve. 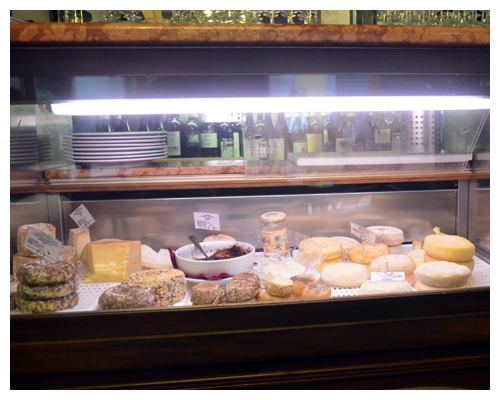 There's also a pretty fabulous cheese cabinet.